Amazing trip with an amazing guide! We had a four-day trip to visit the mountain gorillas at Bwindi Impenetrable National Park. We didn't quite know what to expect going in but it was absolutely the highlight of our trip to Africa! Charles met us promptly at our hotel in Entebbe and drove us across Uganda to Chameleon Hill Lodge. From the first moment we met Charles we knew we would be in great hands - he was funny, charming and full of amazing local knowledge about each area we travelled through. He always had a smile and we really enjoyed his cheeky sense of humour! Our stay at Chameleon Lodge was fantastic, with amazing food and very comfortable rooms. The views were absolutely stunning and we feel lucky that we got to see so much of Uganda's natural beauty. Our trek to see the gorillas was definitely a hike (these are mountain gorillas after all!) but so much better than we could have imagined. It was a truly special experience to see these amazing animals in their natural habitat and see them interacting with each other up close (at times less than a meter away!). 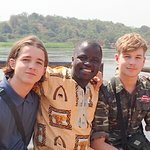 Charles made our Ugandan trip even more special - he went the extra mile to ensure we were comfortable and well informed about local customs and traditions. We feel like we got a taste of the real Uganda and can't wait to go back. It's hard to emphasise just how incredible he made our Ugandan trip - by the end he was more than just our guide, he became a true friend. We really can't recommend Charles and his services enough! A true 5-star experience. I had wonderful time with this tour. 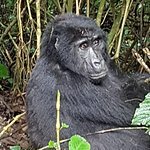 At last minute they arranged Bwindi NP for gorilla safari [close interaction with mountain gorilla family in their nature was the highlight of my tour] and later Queen Elizabeth NP safari. My tour guide and driver Charles took me to hidden site where we were able to see lots of Hippos with babies very close. It was a very long drive [with free African massage]. We also tried local street food Rolex which was delicious and highly recommended. Charles is very honest and super friendly. Very well organized tour. When our family first decided to travel to Uganda, the initial reason was to see the mountain gorillas in their natural habitat. Uganda turned out to be one of the best destinations that we have ever visited. We were so fortunate to have chosen Charles as our guide. Charles is a really caring and gentle natured person. He is very passionate about his country and took us on a journey that we will never forget. I remember saying to Charles “I’m so excited about seeing the gorillas” Charles replied “I hope that I can show you a lot more exciting things before then” He certainly did. Charles was extremely knowledgeable about the wildlife and had incredible vision when on safari. He would spot animals from several hundred metres away. I honestly had no idea what to expect and I truly never thought that I would get so close to these beautiful creatures. One of the highlights of our trip was travelling towards our accommodation Fort Murchison Lodge at dusk. We were heading up over the hill when a herd of elephants crossed the road right in front of the vehicle. It was an amazing experience. Friends and family ask what the highlight was but I every day was filled with such highlights and too many to list. All of the attractions that we visited we would highly recommend. We visited the Murchison Falls National Park, Ziwa Rhino Sanctuary, Chimpanzee Forest in Kabale and Gorilla tracking in the Bwindi Impenetrable Forest. We chose to travel by road as some of these attractions are located at different ends of the country. By travelling by road we got to experience the real culture of Uganda which we feel we would have missed if we had travelled by air. Charles was always accommodating to our needs. He would stop for breaks whenever our family needed to including lunch. The 4x4 vehicle was well equipped and comfortable for our safari. There are three types of accommodation on offer. We chose mid-range which we found to be very good and equipped with everything we needed for a comfortable stay. Some of the standouts were The Chimpanzee Forest Guest House and Isunga Lodge near to the Kabale chimpanzee Forest. The trip to East Africa has been life changing for all of us. Getting up close and personal with animals that I have dreamed of seeing has been an incredible and emotional experience which I will always remember. We will definitely be travelling back to Uganda and we will be using Charles as our tour guide. I went eith Charles on a 3 days trip to Bwindi. It was great. It's a long drive from Kampala to Bwindi National park but it's a good way of seeing the country. Charles is a great company and know a lot about the places we pass; area, communities ,countryside as well as the politics. Great discussions. Me as a photo nerd, took photos all along the way on people and places. Then we reached the .mountains... wonderful mysterious place hidden in mist. (That's why the name ( Foreigners in the mist) We stayed at charming resort, middle class- you can choose how fancy you want to stay- I was not looming for any luxury in the mountain more the experience) I slept well, the shower were hot and the food and service very good. We arrived in the evening got our dinner and the next morning was it time to trekk for the gorillas. All was well planned. The trackers had already located the gorilla families; we were divided in groups depending on how fit we were and how long we wanted to walk. I was prepared to walk all day but it took only about 1, 5 hour before we reached the gorilla family. It was amazing and worth all time.walking ,money and planning. They were beautiful ,gentle and curious. The trackers/ guides communicated with the gorillas and we all felt safe and a part of their grunting world . We had an armed guard with us in case of any problems with wild elephants or other animals but all went fine and it was a amazing experience. I wished I had stayed longer to see some more animals but I will come back. I highly recommend Charles and his company. Honest passionate and warmhearted about people and his business. 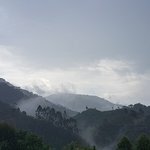 We (a friend of mine and me) did a 6 day tour through the wonderful wildlife of Uganda. The trip started with the pick-off at our hotel and ended with a drop-off at the airport. Before i explain more: Everything was perfectly organised! Our first stop was the Kibali Nationalpark for Chimpanzee-Trekking. We chose the low-accomondation and were surprised how well it was. The tents, with real beds (! ), were all the time clean and the food was great! Also the Chimpanzee-Trekking and the community was perfectly organised. The drive to our second stop, the Bwindi Nationalpark, was on a really rough road (Uganda-Style), but through the Queen-Elizabeth-Nationalpark. On our way, we have seen a lot of antilops, birds and even some wildlife elephants! The accomondation and food at the the Gorilla-Camp was quite as outstanding as at the Chimpanzee-Camp. I dont have any words for the visit at the wildlife-gorillas, it was just an mindblowing experience! Afterwards, we went for our last night to the Lake-Mburo-Nationalparc for a game drive. Here you can see uncountables antilopes, water buffoles and the zebras. A few giraffs and hippos! He's the best driver we've ever had (and both of us were travelling in asia)! The traffic in Kampala, especially at the market, is horrible, but for Charles no problem. Also noteworthy is huge knowledge about the nature, the animals and humans. Sometimes, it seems that he almost knews everyone we met. With Charles on your side, you dont have to care and to worry about anything! You'll get an outstanding experecience in unbelieveable nature! PS: Sorry for my english, i'm not a native speaker.